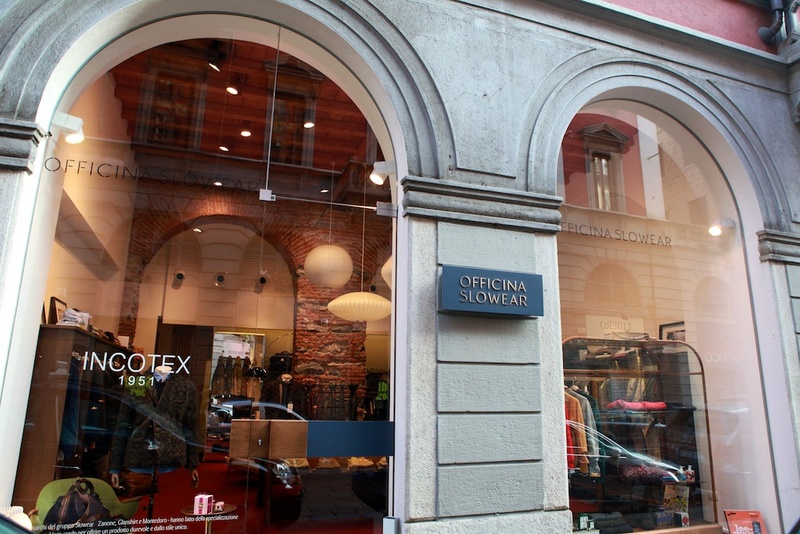 Shopping Milan | Officina Slowear | A Continuous Lean. 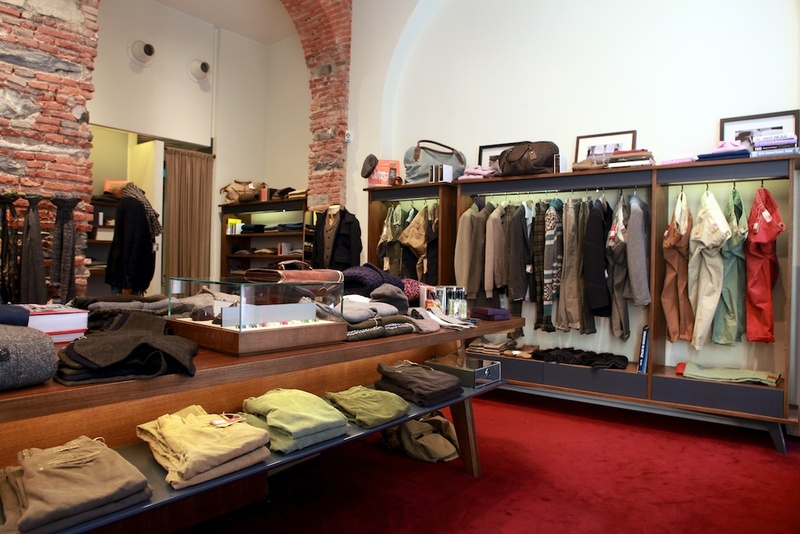 My appreciation for the hyper-specialized Italian menswear brand Slowear is no secret. 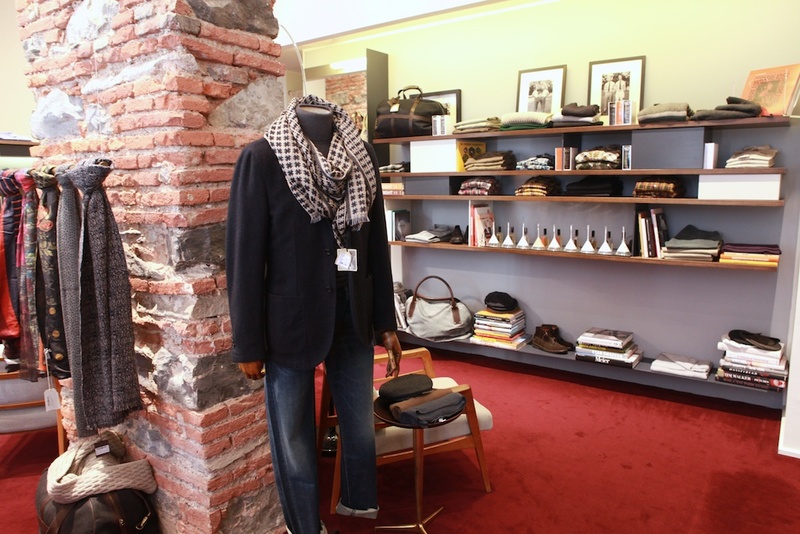 While in Italy between Pitti Uomo and the watch show in Switzerland I stopped into the brand’s cozy flagship in Milan. 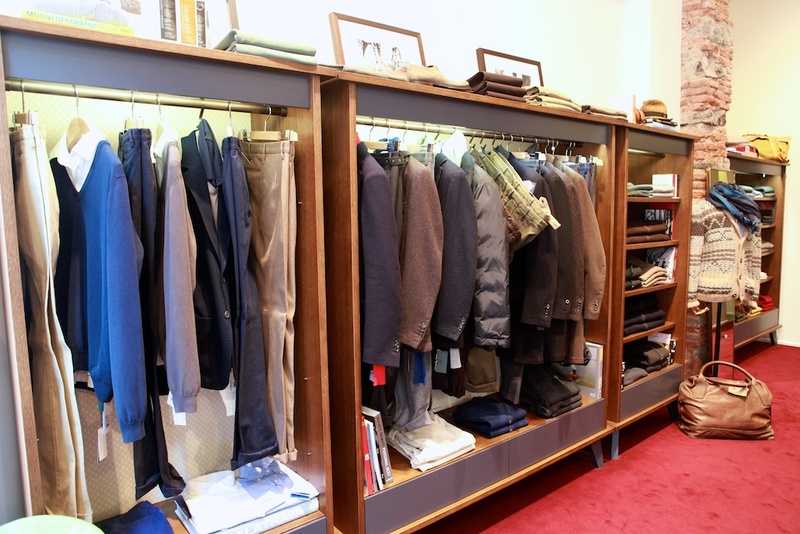 The shop houses a great representation of each of the labels that make up the Slowear brand, with an impressive selection of trousers from Incotex that really caught my attention. 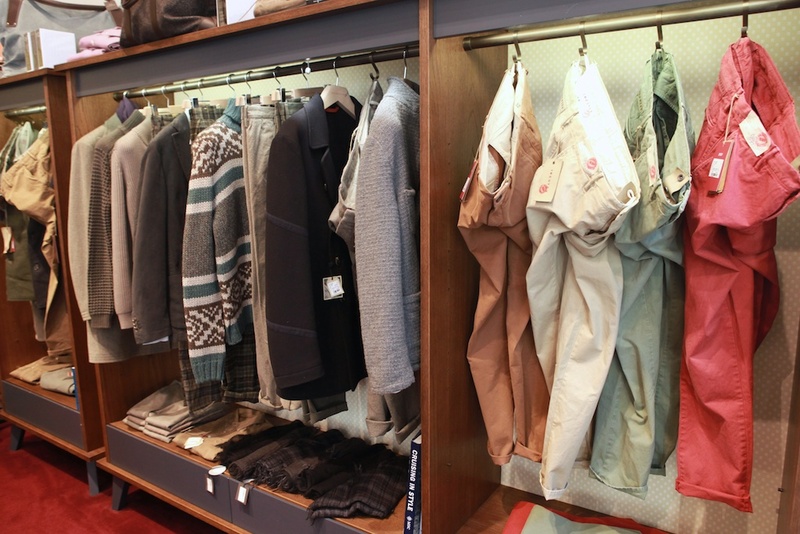 Individually, Incotex is by far the most widely known brand of the bunch and the pants have reached icon status in both Europe and Japan. I’m told that the business in America is strong as well. I believe it too, because the brand is strong to me. What I like about Slowear is how seamlessly it bridges the gap between the way guys dress in America and the way men in Italy dress. It’s dressed up, but still very casual. 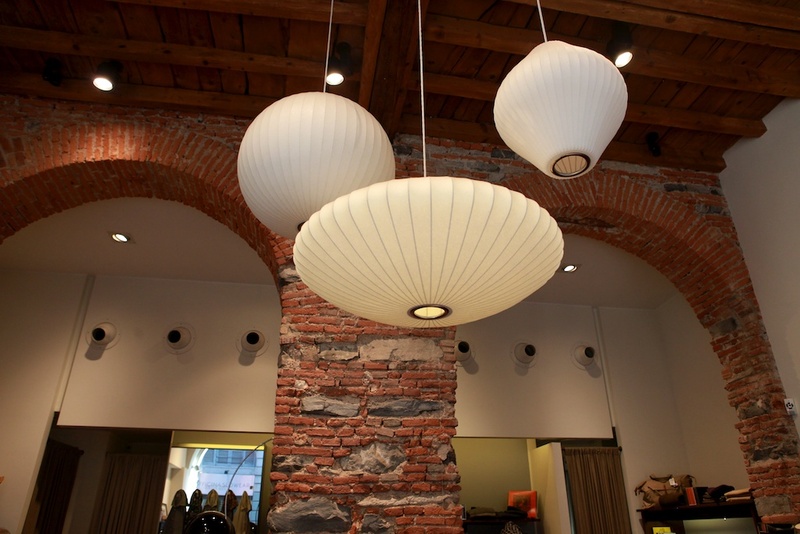 The clothing is also extremely well made and the fabrications go well beyond good. 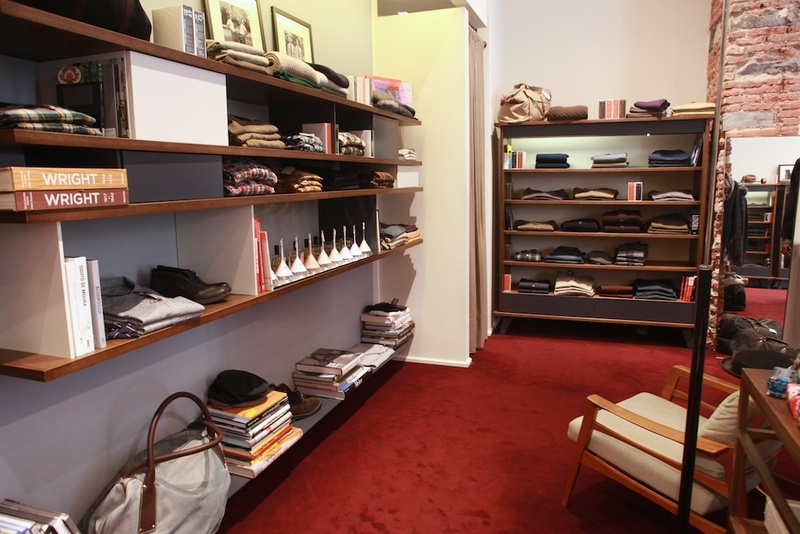 While in the shop (for more than an hour) I found myself trying on unstructured jackets from Montedoro, sweaters from Zanone and all paired with those iconic Incotext trousers. Then it hits me: I want everything. I think the italians are pros when it comes to understated subtle style. As casual as they are, it’s like drinking the “best” wine with a melt in your mouth pizza…no idea how impeccably stylish they are…recap-they know! 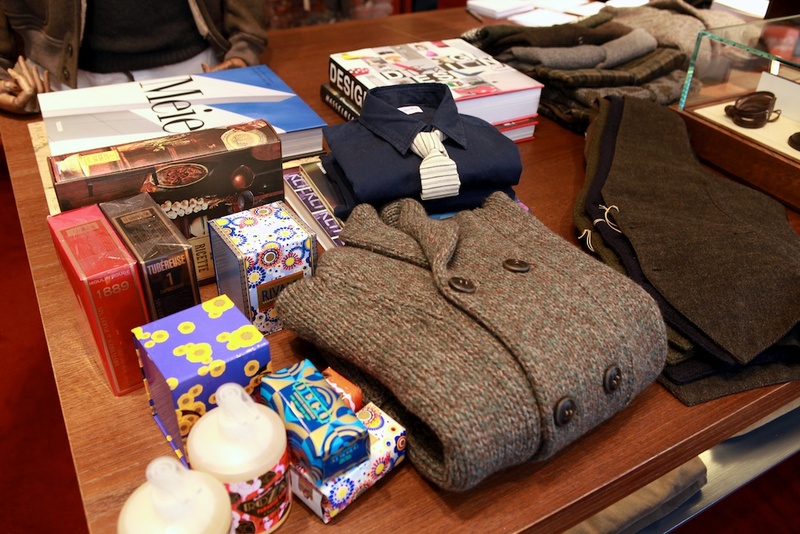 In Europe, shopping is somewhat different….quality and longevity first. Small European apartments have stackable washer dryers with limited room.Shout out to Miele. Most apartments don’t have dryers, so hanging clothing is a chore. Nothing more romantic than seeing the blowing garments off terraces. But they buy quality garments that can sustain durabilty and lasting style..a theory from living abroad and not having the luxuries of laundry rooms or NYC dry cleaners. 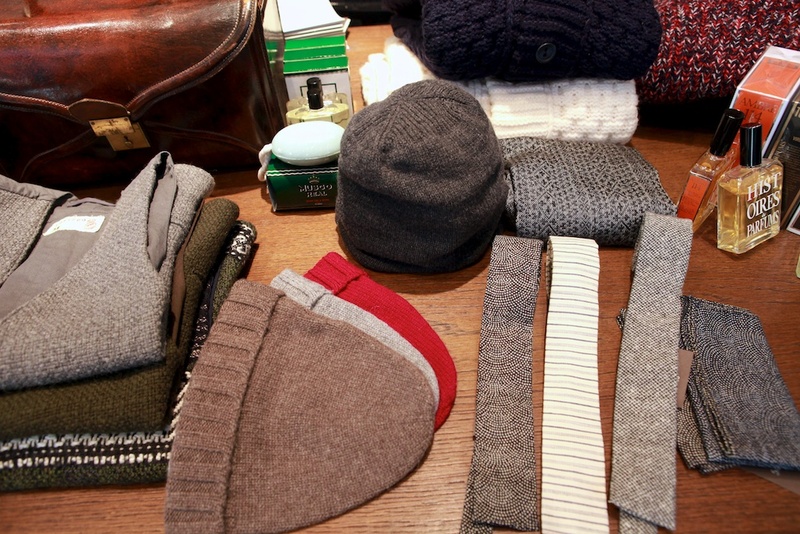 However,whats their take on prepping the shop for this cool blog? Makes me want to go in and hide tags, fit hangers, turn hats around, and put a garment on that hook! The store looks great! The pants are awesome, and I was real happy to see that they cary Ach. Brito soaps … hey, someone in Portugal is doing business abroad… lol..
Smith- Italians don’t drink the best wine with their pizza… their best wines would over power their pizza and they would think it was wasteful. I get your point about the quality of their clothes though. 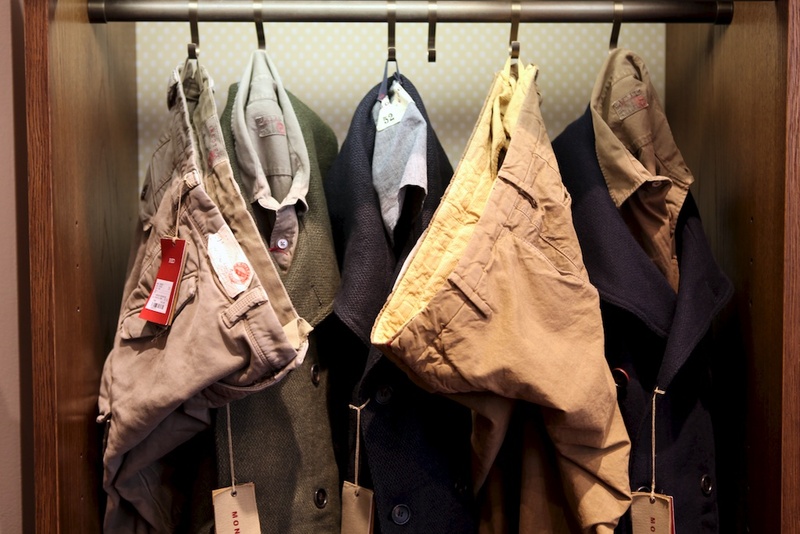 Culturally Italians are fashion obsessed and seem to be willing to pay for quality. They also live with their parents until well into there 30’s or when they get married. So basically all of their disposable income goes into their wardrobes. So the question is: Would you rather live with your parents through early adult hood and have the finest subtle garments? Or make sacrifices and have your autonomy? Please no one take this too seriously, just having fun pointing out some cultural differences in relation to fashion. Ben, what in the living name of the lord are you talking about? Nebbiolo–aka Barolo–goes excellently with pizza, and “best” is a subjective term. If you wish to not be taken seriously, continue speaking in sweeping generalities. It’s working. belle boutique et bonne sÃ©lection! Nebbiolo is usually too tannic and overwhelms most Northern (dryer style) pizza’s and Southern (moister style) Italian style pizzas. The best pizza places in Naples would suggest white wines with their pizza- Falanghina and Greco di Tufo or Fiano di Avellino if you were looking to spend more money. If Red is what you prefer, something with more pronounced acidity like Aglianico and Barbera or lighter style reds from the Veneto work well. ‘Best’ is a subjective term but ‘generally’ means wines that are most outstanding or desirable. The Italian wines that are most sought after by the market, in and out of Italy, are the big Red wines- Barolo/Barberesco from Piedmont and Brunello di Montalcino from Tuscany. In Italy, these are special occiansion wines and would not be served with Pizza. What’s next for forward-thinking retailers now the artfully diverse mid-store table arrangements are pretty much a staple? !